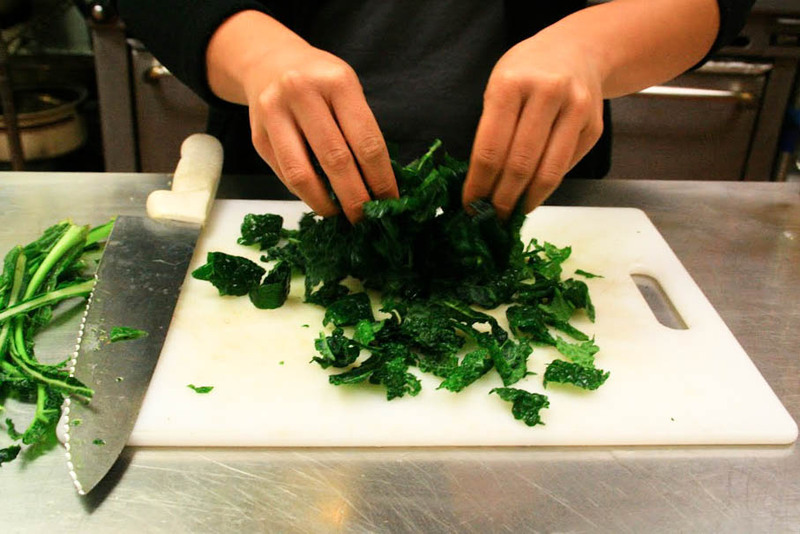 Looking for an exciting new food staple to add to your college-budget shopping list? Try couscous. My personal favorite, Moroccan couscous, is the perfect mix between pasta/carb-y goodness and palatable fluffiness. 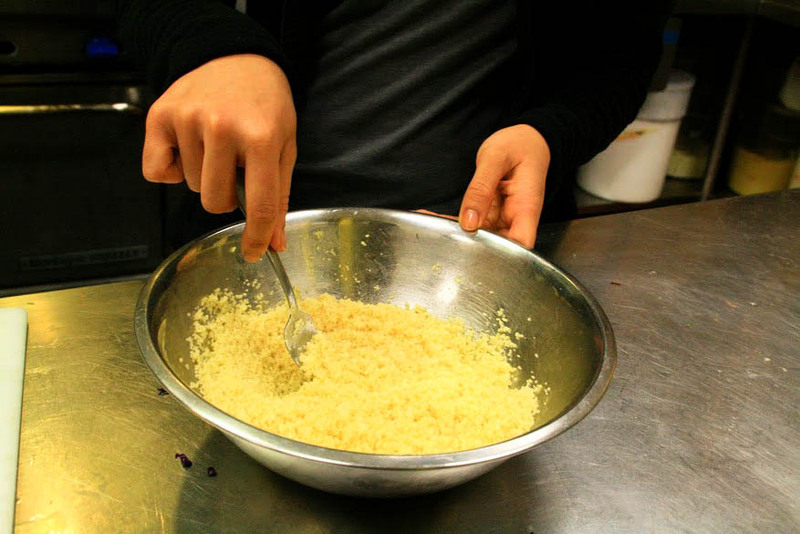 Couscous is a grain and pasta hybrid made by grinding semolina wheat into fine granules. It originates from Northern Africa and can be used in a plethora of tasty dishes. 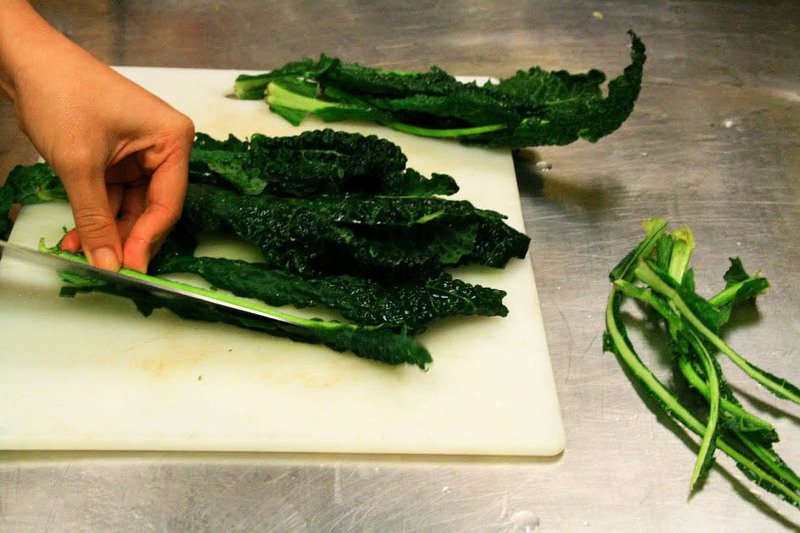 Here’s a super simple dish, tried and true, that you can whip up in under 20 minutes. It makes for a great light dinner or can be paired with fish or chicken. 1. 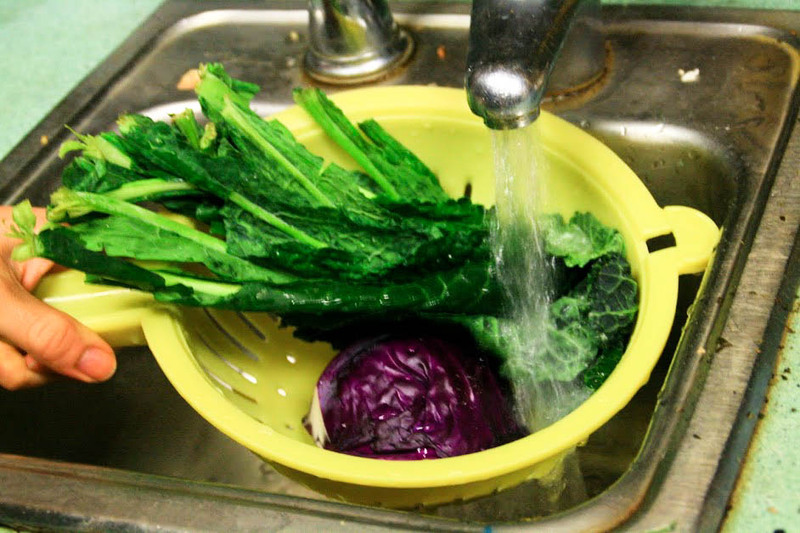 Pour water into pot and bring to a boil. 3. 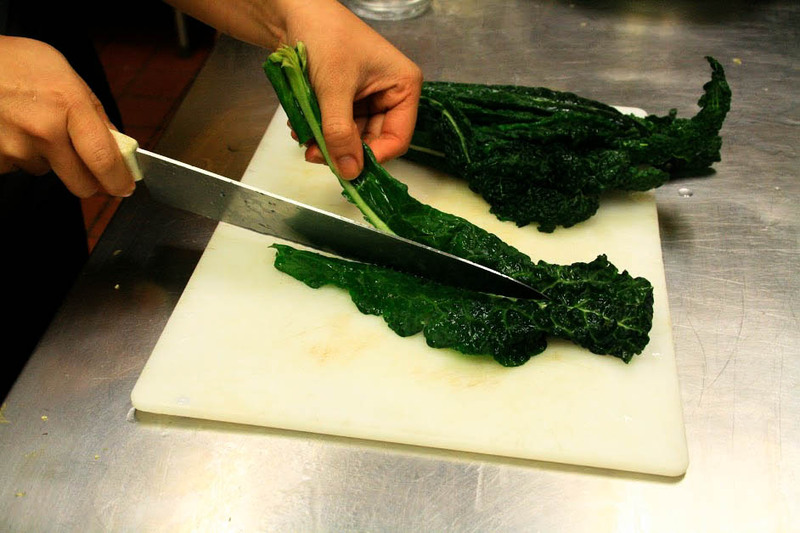 Remove the inner vein of the kale and chop into ½ inch pieces. 5. 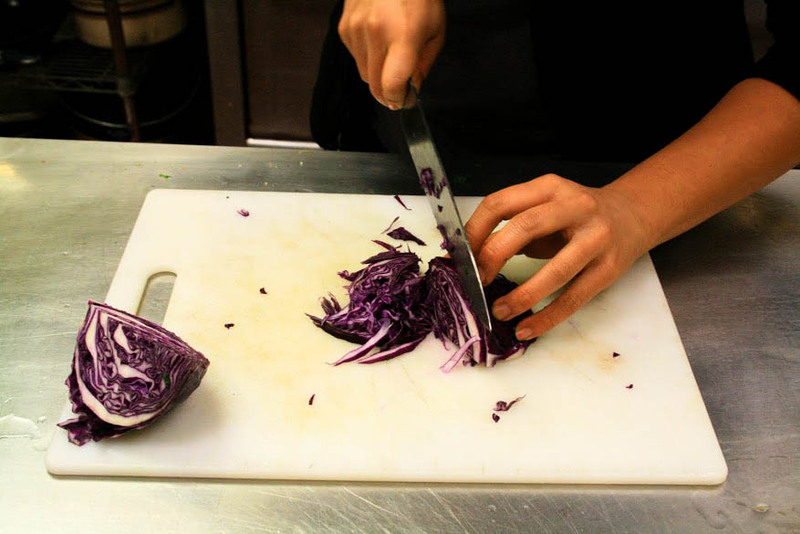 Thinly slice the purple cabbage. 7. Chop garlic. 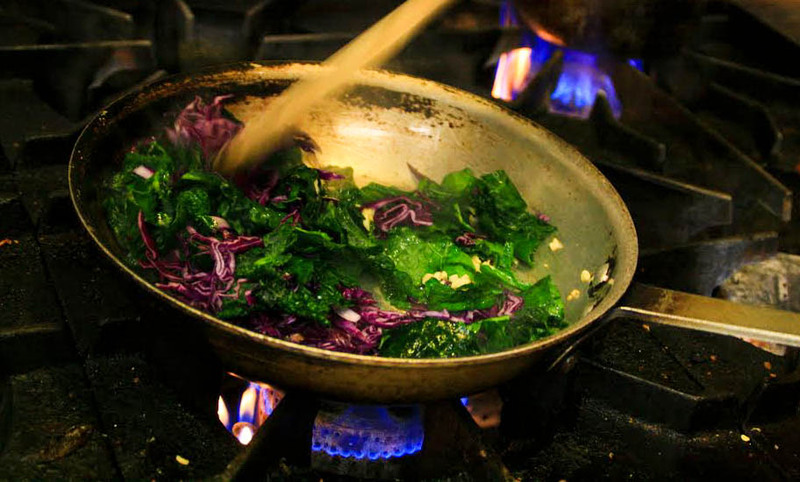 Sauté the garlic, cabbage and kale in a pan with olive oil. 8. 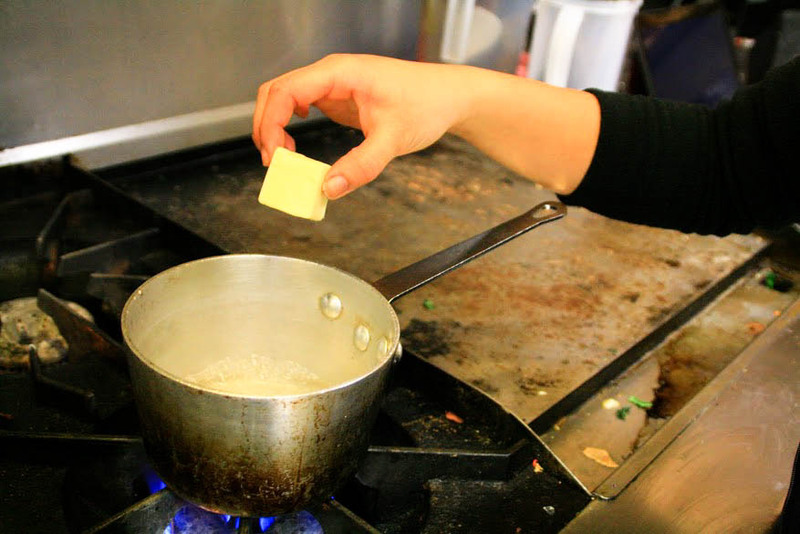 Add the hunk of butter to the pot of boiling water. Remove from heat. 9. 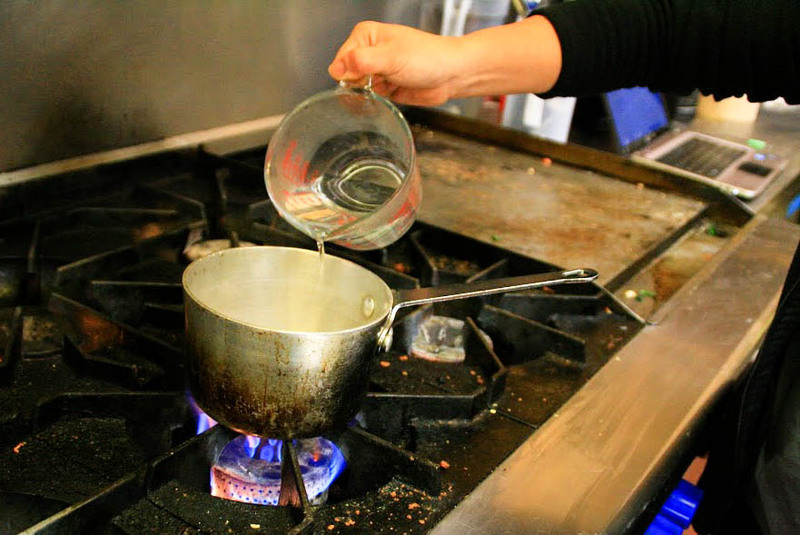 Add hot water to couscous. Cover and let sit for about 5 minutes until all the water is absorbed. 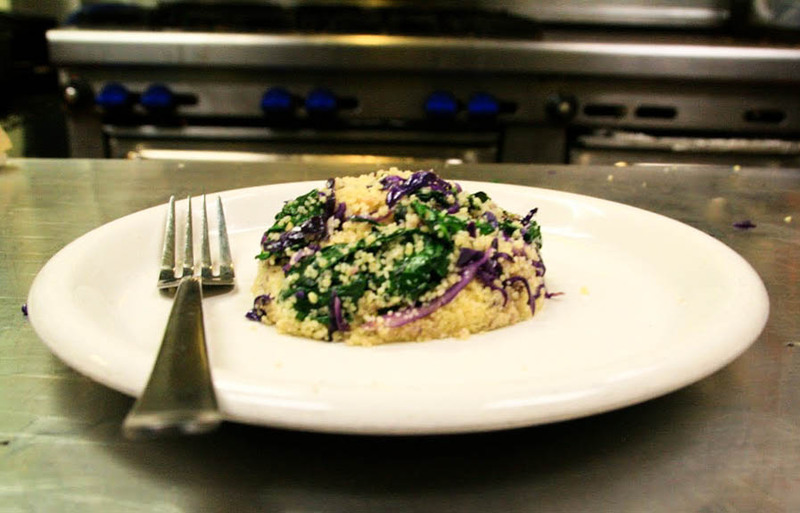 Then fluff couscous lightly with a fork. 10. 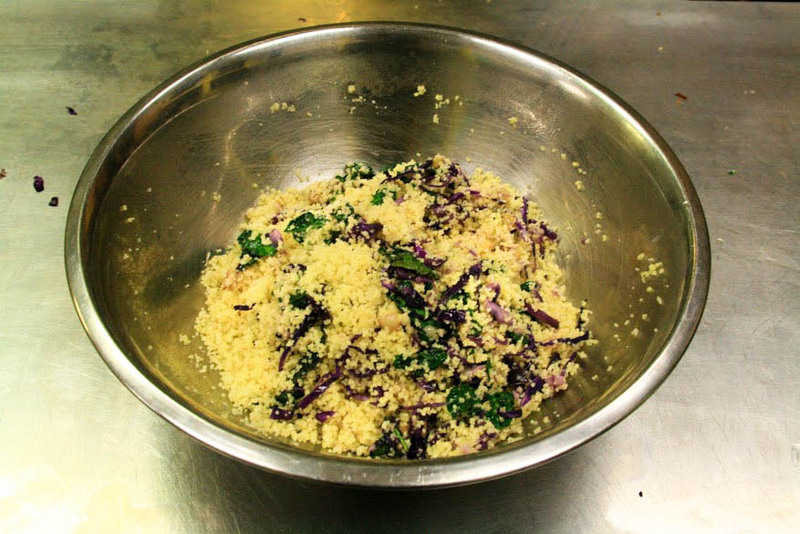 Add veggies to couscous and season with salt and pepper. 11. Optional: Top with almond slices or fried onions for added crunch. Enjoy!